Will it interfere with medication? 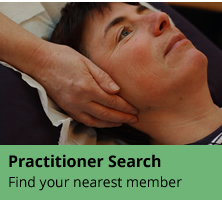 The practitioner search on this website will provide you with details of kinesiologists in your area. We suggest that you contact several to decide which one would suit you best. This could be someone who you feel is the right person. Please note that practitioners have experience in various kinesiology modalities and healing therapies. It is unusual to find two practitioners who have the same education, due to the fact that individuals have different interests and pursue their training in the many different branches of kinesiologies and other health fields according to their own interests and time schedules. AKFRP – Advanced Kinesiology Federation Registered Practitioner. These members have completed a minimum of 1200 hours of training in kinesiology and core subjects. IKFRP – International Kinesiology Federation Registered Practitioner. 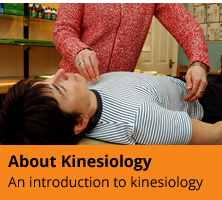 These members have met the requirements of and been assessed by the International Kinesiology College. KFRP – Kinesiology Federation Registered Practitioner (full professional status). These members have evidenced a minimum of 500 hours of training in kinesiology and core subjects. KF Assoc – Kinesiology Federation Associate (first level of professional status). These members have completed a minimum of 300 hours of training in kinesiology. All the above have completed a minimum of 300 hours training in kinesiology but those who are KF Assoc are still in the process of completing their clinical practice hours, mandatory core subjects (A&P, Nutrition, Interpersonal Skills & Practice Management) and are under the supervision of a mentor. Both IKFRP and KFRP members are required to undertake continuing professional development (CPD) to remain on the referral register.